Adventure, observe, take notes! 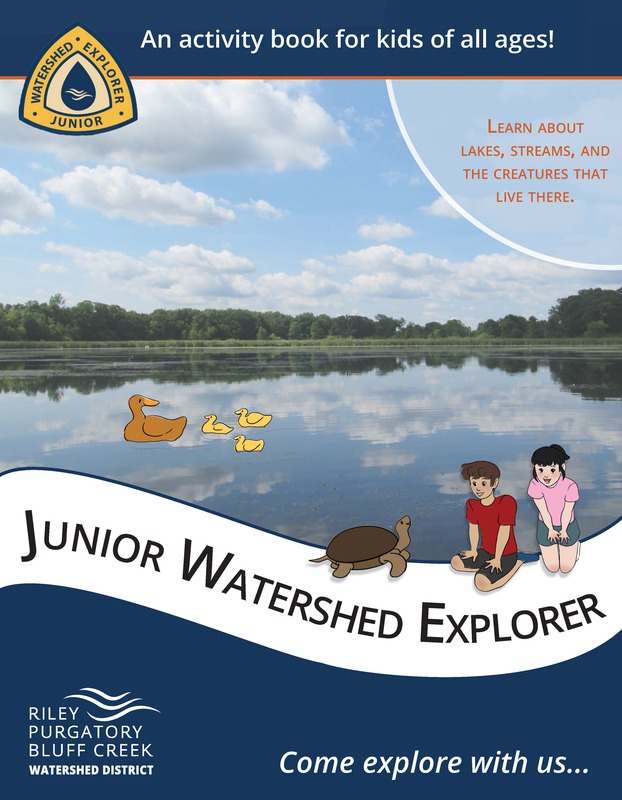 Explore your watershed and complete the Jr Watershed Explorer workbook to earn a badge. Where does water go when it rains? What kinds of fish and animals live in the water bodies in our area? What can each of us do to to help protect clean water? This activity book takes kids on an adventure through their watershed, exploring how we are all connected to, and by water. *Can't make it in? Let us know and we can mail you a copy. Area you an educator? Arrange to have us drop of copies at your school or other facility.